8 hotels with a sea view are waiting for you in Le Cap d'Agde. Cap d'Agde is the seaside resort of the town of Agde, among the busiest on the French Mediterranean Sea. At the seaside you can find several sandy beaches, one with black sand. It is a lively and festive resort in summer, especially on the marina. You can find a naturist area and a park "Aqualand”. 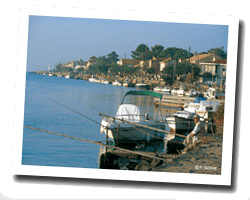 The old town of Agde offers interesting historical testimonies. 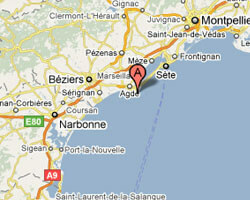 In Cap d'Agde enjoy the pleasure of a sea view hotel.